Last week was my birthday and amongst the presents I very luckily received, were a stick and two rocks (from my 3 year old), the most delicious Urban Apothecary candle and a weekend in Paris. Spoilt? Very. But the biggest surprise of all was from my very clever husband who it would seem knows me a little bit better than I’d thought. 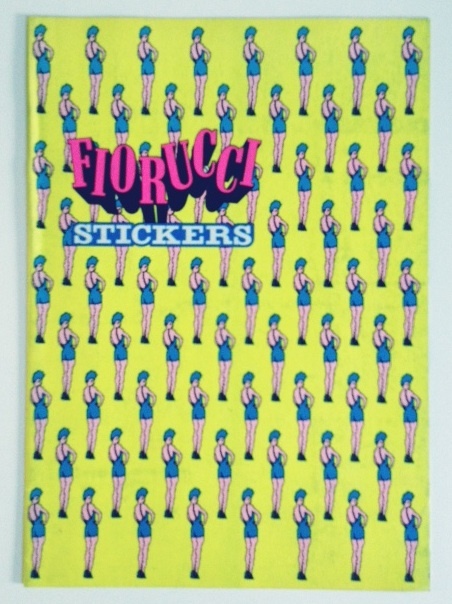 In my formative fashion teenage years there was one brand which I was truly obsessed by, Fiorucci. The store on the Kings Road was my very favourite place to visit and, having a pretty fashionable Mum, I was taken there quite frequently. It was full of the kind of Pop 80s style I most loved. Bright, brash and painfully hip. I would rifle through the rails for ages and ages, holding on to the things I most liked for just a little too long until Mum noticed. Sometimes this worked but mostly it didn’t so I’d impatiently lie in wait for her Fiorucci hand me downs which were even better. 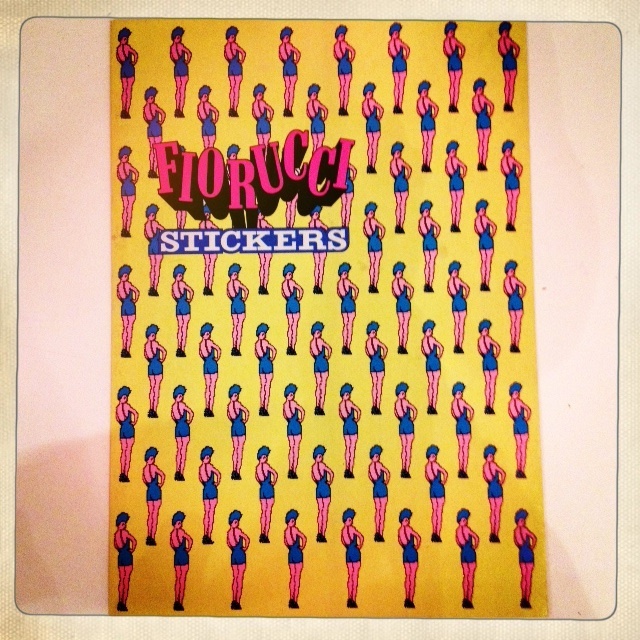 What I did buy though, every single time we visited, was a pack of stickers, which I could afford with my pocket money and allowed me my very own little bit of Fiorucci cool. Over the years I lost or swapped or gave away most of my sticky treasure but I held on to a small collection which I framed in later years and have kept to this day. They make me smile like you wouldn’t believe. The colours, the imagery, the language all still make me feel like they did when I bought them. I’ve always been insistent that they hang on a wall where everyone can see them, at the moment that’s the family bathroom, just above my husband’s collection of bright yellow National Geographics. What could be cheerier! 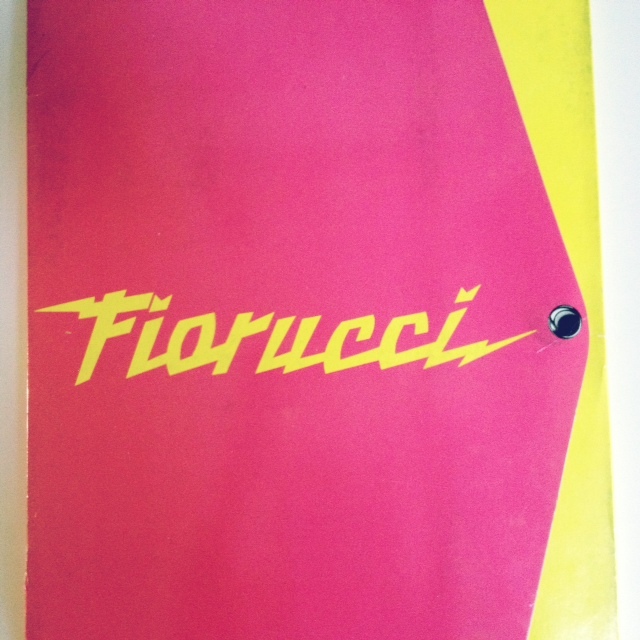 Anyway, having thought for years that my husband didn’t listen to anything I said nor did he care about any of my things (that could still be a little bit true), I was presented on my birthday morning with a FULL SET OF FIORUCCI PANINI STICKERS. 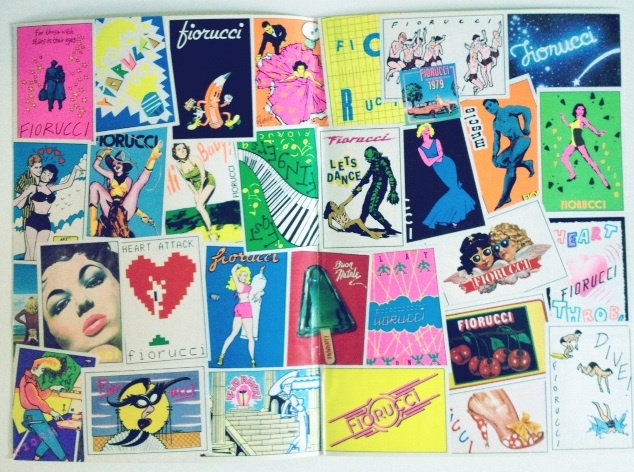 I’m still not entirely sure how or where he found them but he did and I now own them, all of them, beautifully mounted on the official Panini cards and protected in their very own Fiorucci folder. 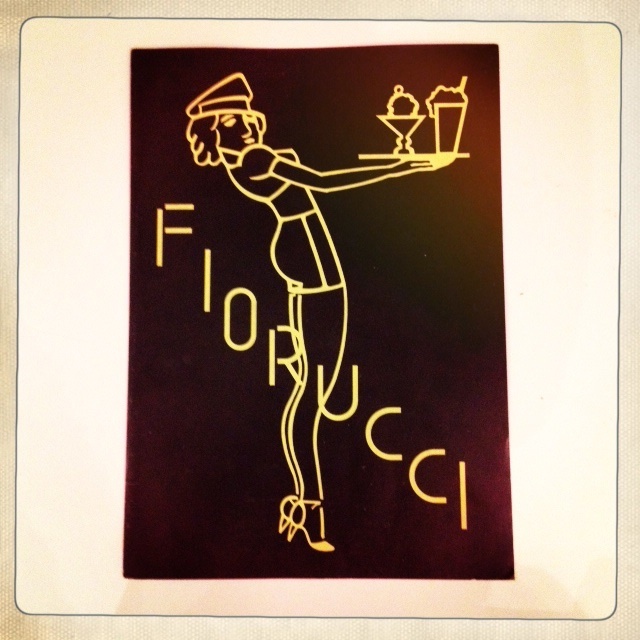 I want to run back to school and show everyone, but I’m showing my blog instead. There are way too many to photograph and show in one post so I’m going to drip feed them slowly over the next few weeks. For now, here’s the folder and a couple of the special collection mounts. So much more to come. Hopefully my photography will get a bit better as I go along too. You get the idea anyway. 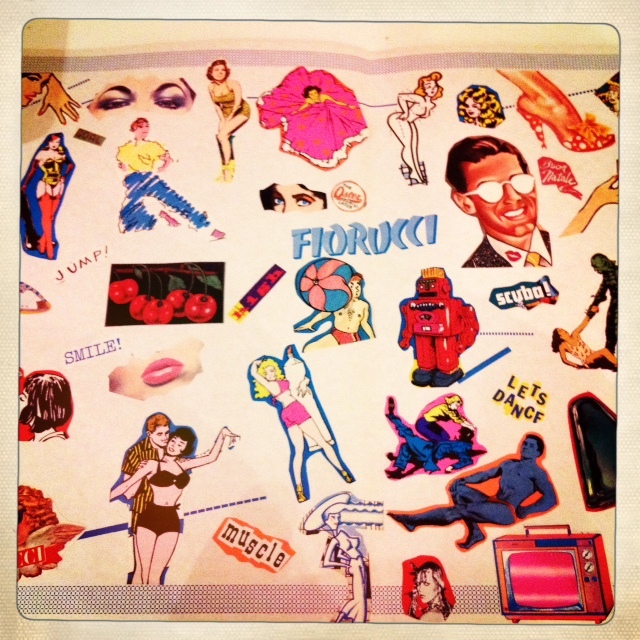 Happy Fiorucci.